Welcome to the next installment of our weekly Stewards of Steam blog series, where we share about our craft and our people. 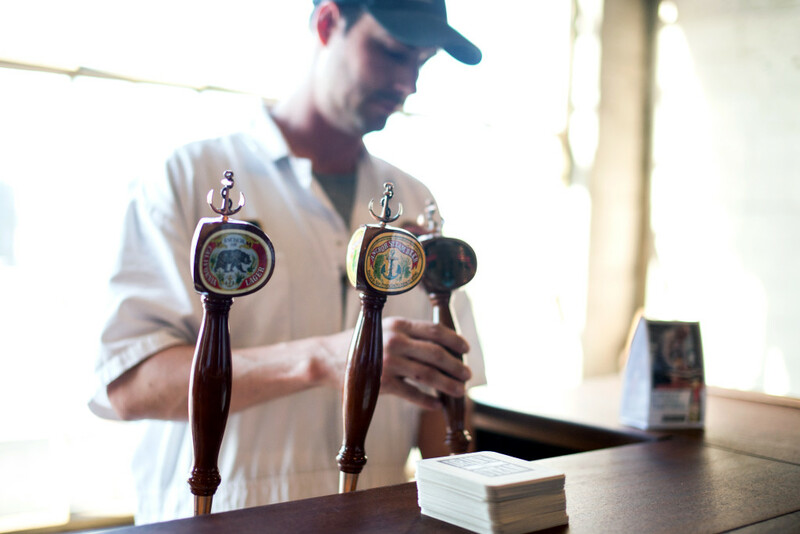 Anchor Brewing is dedicated to continuing to make handcrafted beer in San Francisco. The Stewards of Steam are the people who work at Anchor and make this mission possible. We are proud to remain a pioneer in American Craft Beer, and proud of our ability to maintain our traditional brewing methods. We love what we do and enjoy spending our days creating beer that our fans and craft beer enthusiasts enjoy, so #RaiseYourAnchor to these #StewardsofSteam! When Anchor plans to release a new beer, it takes a lot more than just formulating the recipe. We create our beers with great intention; each beer’s name, story, and design are carefully crafted, just like the brew itself. The label and packaging artwork are created with that same careful intention, telling the story behind the beer. These components pull inspiration from both cultural and geographical history as it relates to Anchor and craft beer traditions. 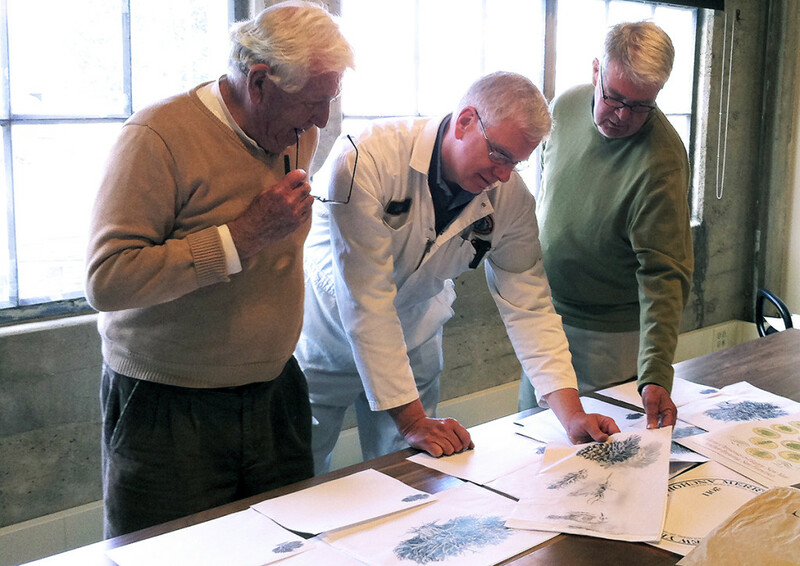 Dave Burkhart (center) overseeing the creation of a Christmas Ale label with longtime Anchor illustrators and designers Jim Stitt (left) and Jack Martin (right). “I am Dave. I’m on the marketing team as the Design & Graphics Production Manager and Brewery Historian, and I’ve worked at Anchor for over 25 years. I’ve been responsible for the names, stories, design, and production of all labels, logos, and packaging for Anchor Brewing and Distilling. And, as brewery historian, hardly a day goes by when I’m not researching, talking about, or writing about Anchor’s rich history. 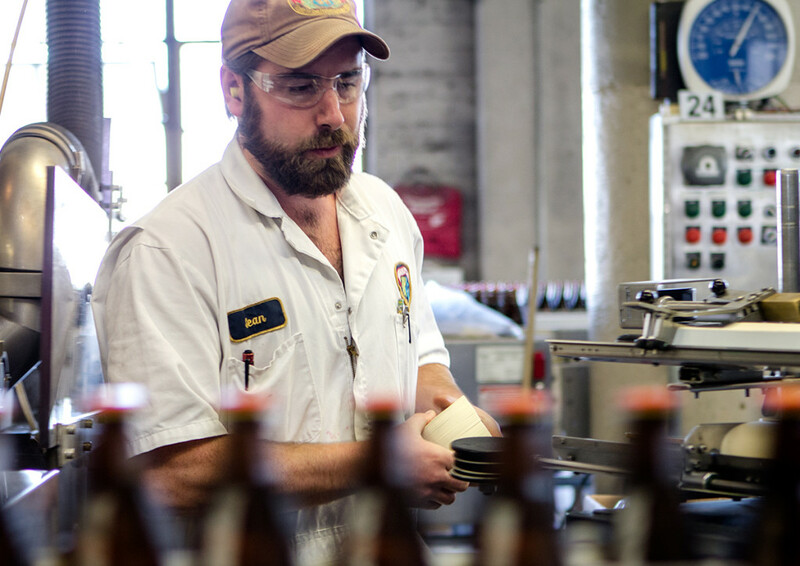 At Anchor we package our beer into bottles, cans, and kegs. We have two bottling lines—one for 12 oz. bottles, the other for 22 oz. and 1.5 liter bottles—a canning line, a racking room for keg fills, and a variety pack assembly station. Our petite canning line fills about 60 cans per minute while our bottling line moves at a pace of 420 bottles per minute. “I am Sean. I’m the Packaging Manager and I’ve worked at Anchor for 4 years. Here at Anchor, we are deeply committed to cultivating and engaging our community; employees, business partners, and beer fans alike. Anchor’s core values of quality and authenticity permeate to every branch of the company, including the marketing team. 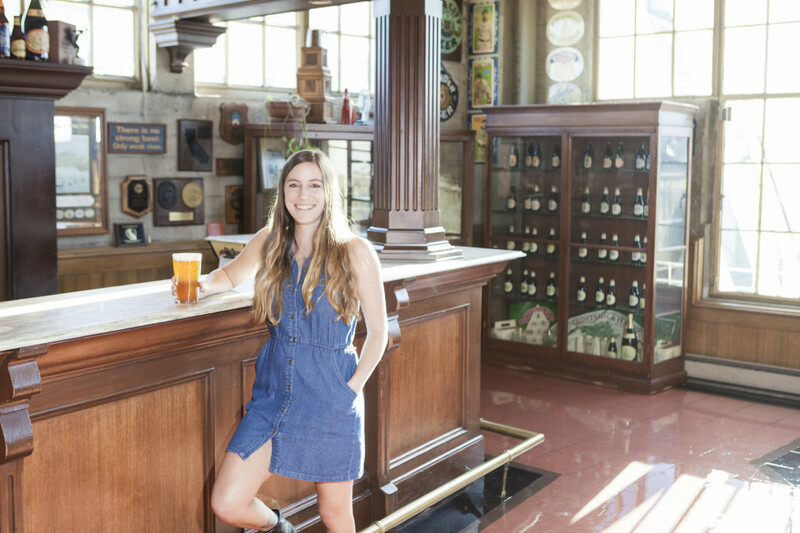 Through events, traditional media, social media, and more, we’re able to connect with beer fans, sharing our beer and the brewery. Beer is inherently social, so building community comes naturally and usually makes for a good time. “I am Teagan. I’m on the marketing team and manage events, public relations, and digital marketing. I’ve worked at Anchor for over 5 years. Next time you grab a pint or six-pack of Anchor, #RaiseYourAnchor to Dave, Sean, Teagan, and the rest of our #StewardsofSteam for their hard work behind the scenes. From all of us at Anchor Brewing, we’d like to extend a sincere thank you to our fans, supporters, and craft beer enthusiasts for your continued support, which allows us to do what we love; work hard to brew quality, handcrafted beer in San Francisco. Use our Anchor Beer Finder to find a cold brew near you!